On this page, you can define the behavior in the case of errors. 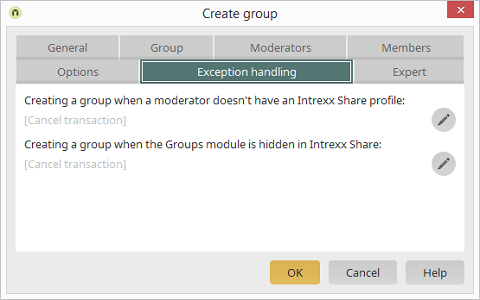 An error is triggered, if a group is created whilst the Groups module is hidden in Intrexx Share. Opens a dialog where you can define whether the transaction should be continued or cancelled.